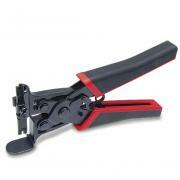 Detailed listing of our punchdown tools. 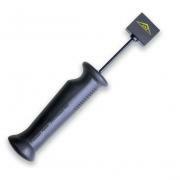 The new D914S Ergo Punchdown Tool comes with EverSharp Blades which last 3 times longer than standard punchdown blades! This comfort and performance designed ergonomic punchdown tool enables installers to make faster, more uniform connections with far less effort. Tool features a soft rubber handle, rounded edges for a better grip to reduce hand fatigue and a hook & spudger for fast wire removal. With a single push, the spring loaded mechanism will trigger the blade at just the right point to seat and cut the wire to size. 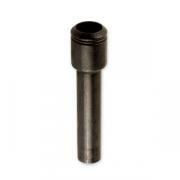 Hi/lo impact selector adjusts impact pressure for the kind of block being terminated. Built to last, this tool is tested to deliver over one million punches under normal use. 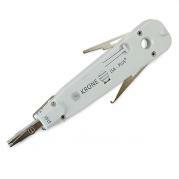 Additionally, the tool accepts a wide variety of interchangeable blades. One can be stored in the handle. Comes with an18-month warranty. The industry-standard D814 punchdown tool from Platinum Tools, now comes with NeverDull 66 & 100 Blades which last longer than standard punchdown blades! 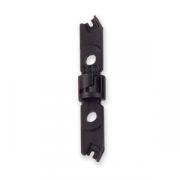 This punchdown tool is the industry standard enabling installers to make faster, more uniform connections with far less effort. With a single push, the spring loaded mechanism will trigger the blade at just the right point to seat and cut the wire to size. 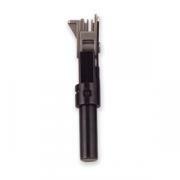 Hi/lo impact selector adjusts impact pressure for the kind of block being terminated. Built to last, this tool is tested to deliver over one million punches under normal use. 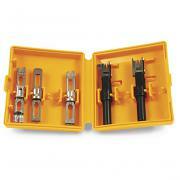 Additionally, the tool accepts a wide variety of interchangeable blades. One can be stored in the handle. 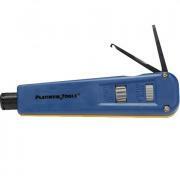 The D814 punchdown tool now comes with EverSharp Blades which last 3 times longer than standard punchdown blades! 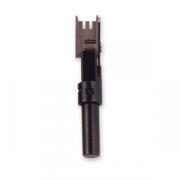 This punchdown tool is the industry standard enabling installers to make faster, more uniform connections with far less effort. With a single push, the spring loaded mechanism will trigger the blade at just the right point to seat and cut the wire to size. 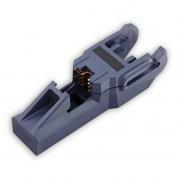 Hi/lo impact selector adjusts impact pressure for the kind of block being terminated. 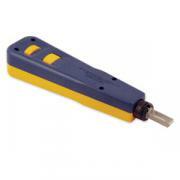 Built to last, this tool is tested to deliver over one million punches under normal use. 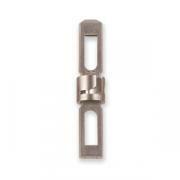 Additionally, the tool accepts a wide variety of interchangeable blades. One can be stored in the handle. Comes with an 18-month warranty. A new and better way to terminate all standard brands of keystone jacks. Patented JackAX seats the wire into the sweet spot every time for the ultimate performance and certification! Install your Cat 5 jacks 8 times faster! The latest innovation in Cat 5e jack installation is here! The JackRapid� jack termination tool is a breakthrough time saver. In a single squeeze of the ergonomic handle, you can punchdown, terminate and cut all 8 wires of your Leviton Cat 3 (6-wire), Cat 5 or Cat 5e jacks. Stop punching into the palm of your hand or through the drywall! Unique Jack Rapid design accommodates close-to-wall installations - no slack, no problem! 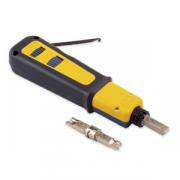 Compatible with the following Leviton jacks: Cat 3 (P/N 41106), Cat 5 (P/N 41108) and Cat 5e (P/N 5G108). The Paladin ProPunch 110 multi-punchdown tool with 5-pair head. This powerful punchdown tool delivers one and a half times the force of comparable tools and terminates 23 gauge wire with one stroke. The ProPunch with its rugged non-slip handle is designed for future standards of CAT 5e, 6 and 7 and handles wire sizes AWG 22-24. 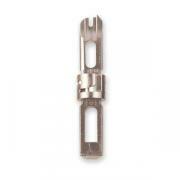 Punchdown Tool Extension (2 1/4� extra reach) compatible with all bayonnet style (twist and lock) punch down tools. This unique blade storage case helps prevent loss, misplacement and damage of impact blades by keeping them all together in one convenient hard case. Sized to fit neatly into shirt or pants pocket or clip onto belt or tool pouch. Blades sold separately.